Watch full Teen Titans Go! Season 4 Episode 43 full HD online. Cartoon video Teen Titans Go! Episode 200 online for free in HD. Tired of the normal traditions, the Titans decide to create their own for Thanksgiving. 4.3 / 5 - 33 ratings. Teen Titans Go! 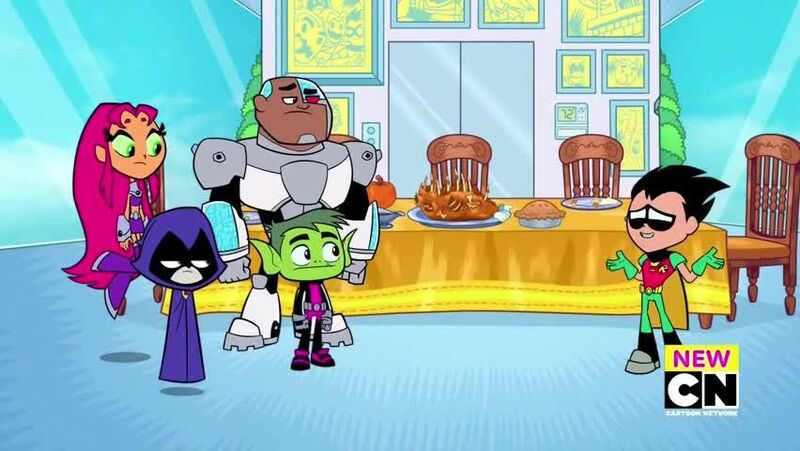 Season 4 Episode 42 – Demon Prom Teen Titans Go! Season 4 Episode 44 -45 – The Self-Indulgent 200th Episode Spectacular!